This two-door, four-seat, all-wheel-drive sports coupe was engineered to deliver world-class performance on a (relative) budget, boasting performance numbers to irritate cars costing several times as much. Psst… do you want a used performance car that goes really, really fast? If so, you might be eyeing a used Nissan GT-R from across the room. The high-velocity Japanese icon re-entered the North American market for model year 2009, minus the “Skyline” badge found on earlier units. This two-door, four-seat, all-wheel-drive sports coupe was engineered to deliver world-class performance on a (relative) budget, boasting performance numbers to irritate cars costing several times as much. Look for Bluetooth, navigation, multimedia inputs, steering-wheel-mounted audio controls and a special high-performance Bose audio system for when you get tired of listening to turbocharger noises. All models get a 3.8L, twin-turbo V6 engine and drive all four wheels via a paddle-shift, dual-clutch gearbox. Horsepower ranges from 480 to 545 and beyond, depending on the year and model selected. One major update was carried out for 2012, which saw the GT-R power plant tweaked to deliver 530 horsepower – an improvement of 45 over the 2011 model. For 2013, power was boosted again, to 545 hp. Torque was also increased. Nissan says these improvements come from modifications to the turbocharger system, increased boost pressure, optimized valve timing and some alterations to the intake and exhaust system to increase airflow. Special models, including the GT-R Black Edition added unique cosmetics, hardware, wheels, and other performance upgrades. Performance, recognition, styling and everyday practicality are some of the most commonly praised attributes of the latest GT-R. All-season traction, thanks to standard AWD, is also highly rated by those who use their GT-R in winter – but these folks are a rare breed. Complaints include cramped rear seats, road noise, a rough ride on some surfaces, and excessive fuel consumption when driven hard. Wider drivers also report that the heavily bolstered seats can quickly become uncomfortable on long trips. Start your GT-R shopping process with a little preparation. First, shop patiently, noting that you’ll want to decide on the specific model, options and pricing ballpark that best fit your needs, and shop accordingly. Don’t let lust cloud your judgment when shopping for a used GT-R: shop smart, shop patient, and stick to your guns when it comes to must-haves relating to your budget and needs. Second, track down the nearest GT-R-certified Nissan dealer, and make initial contact. You’ll want to see what’s involved in having any used GT-R you’re considering inspected by a GT-R-certified technician ahead of your purchase. Buying a used GT-R without a pre-purchase inspection by a technician specially trained on this vehicle’s systems and features is strictly not advised. Communicate to any sellers you deal with that you’ll want to have the vehicle inspected ahead of purchase – which may require them to meet you at the dealer for an hour or so, once an appointment is set up. Third, and this is important, remember that the GT-R is an exotic performance car, with exotic performance car maintenance costs. Fluids, tune-up parts, tires, brakes, suspension components, body parts and the like will all be pricey when and if it comes time to repair them. The GT-R also needs to be fed premium high-octane gasoline, and is capable of consuming it very quickly. Be sure your wallet can support both the up-front cost of a used GT-R, and the costs of keeping it maintained, fueled and insured. Though the GT-R’s regular maintenance isn’t cheap, being sure to treat it to regular servicing as outlined in the owner’s manual seems absolutely ideal for maximum reliability and confidence. Be sure the seller is able to provide full service records, indicating that all tune-ups, fluid changes and other maintenance-related items are up to date. Here’s a thread in an owner’s forum where a prospective GT-R buyer is advised to opt for a 2012 or newer model, on account of numerous updates and revisions that this group of owners says is worth “every penny”. The owner’s community notes issues with the GT-R’s transmission, up to and including transmission failure, possibly caused by abusive driving and excessive use of the Launch Control function. Some owners have launched their GT-R using the system, many times, without issues. Others have not. Revisions to the transmission, driveline, and Launch Control software over the years seem to have mitigated most of the potential issues. Here’s some more reading. And here’s a thread suggesting that a GT-R dealer may be able to plug in a so-called CONSULT device to read how many hard launches the transmission has endured, which may be able to guide your decision. This report can also display how many times fluid temperatures hit high levels, possibly during motorsports-type driving. All said, for added confidence, buy a GT-R you don’t suspect was abused, or opt for a model from a dealer with extended warranty, for maximum peace of mind. Note that past abuse may show itself in numerous ways – including tires and brakes that are worn out, and “burnt” engine oil. Look up at the lower portion of the front bumper from underneath for signs of excessive scraping and damage, a potential sign of careless driving or parking. A loud or intrusive “rattle” from towards the front of the vehicle on earlier models is likely the result of a bad flywheel bearing, though numerous owners have had this fixed under warranty. Another common cause of noise and vibration is a potential issue with the transmission bellhousing, though many owners debate whether the noise is cause for concern, or just a part of the vehicle’s design. Many owners say, simply, that the GT-R has a relatively noisy transmission. Other checks should include all lighting provisions, especially the headlights, for signs of burned out xenon bulbs, and condensation within the housings, which can impede lighting performance and cause other issues. Climate controls, all motorized seat adjustments, the central command interface and the remote locking and smart-key system should all be scrutinized, too. Finally, avoid models with non-factory engine management or performance part add-ons for maximum long-term peace of mind. Many, many used GT-R models will be modified from mild to wild, possibly with re-tunes and flashes of the engine computer, to generate more power from the engine. The average shopper should avoid a non-factory model with upgrades like this for a variety of reasons, key among them being that they could adversely affect durability and reliability, and void any remaining warranty. Note that a modified GT-R may be denied warranty-related repairs, even if software or parts are set back to factory before a visit to the dealer. 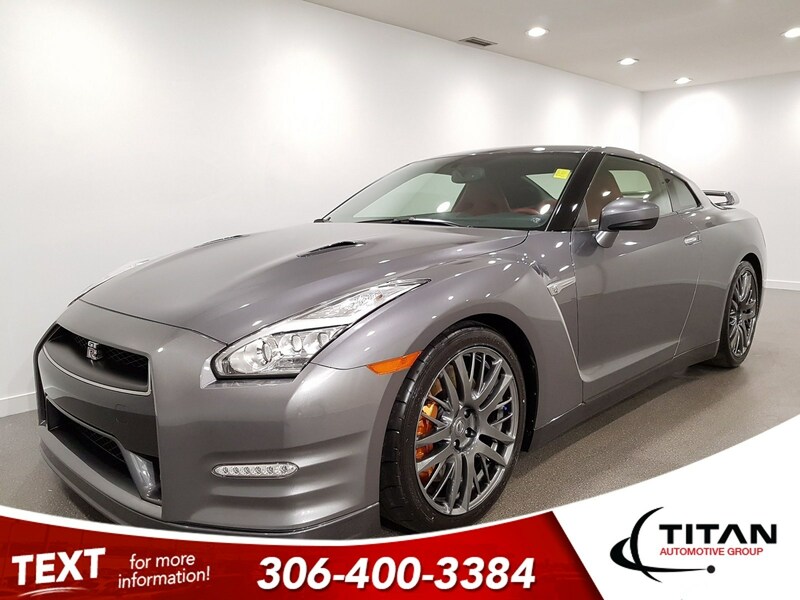 A healthy used GT-R with full service records and mechanical thumbs up from a qualified technician should provide shoppers with access to one of the world’s most spectacular modern performance cars. Justin Pritchard is an automotive journalist, consultant, TV presenter, and photographer based in Sudbury, Ontario.